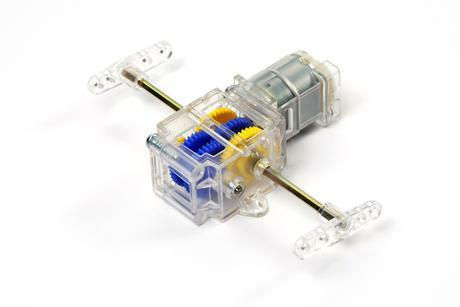 The ability to realize design ideas in various ways by piecing together mechanical components is one of the reasons why Tamiya's Educational Construction Series is so interesting. 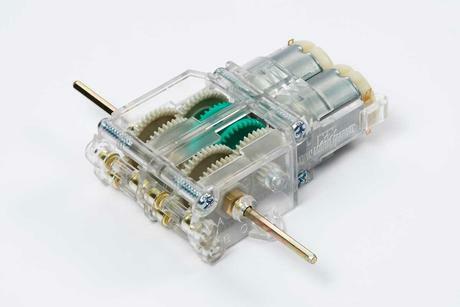 Gearboxes are vital for providing power and this particular gearbox features a special clear case to allow viewing of its internal mechanisms. This reliable gearbox features three selectable gear ratios to cover both high-rpm and high-torque applications. The attachment of crank arms further increases usage possibilities. •	Uses a tough clear ABS resin case. 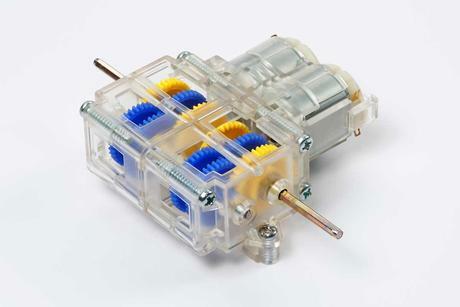 •	Offers 58.2:1 and 203.7:1 gear ratios. 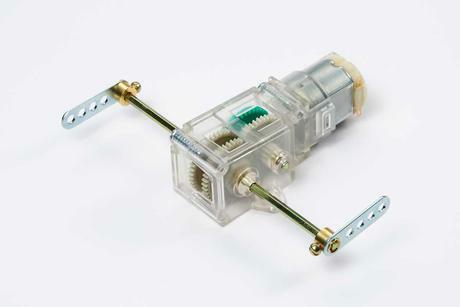 •	Features left and right 3mm hex output shafts. •	Type 130 motor included.